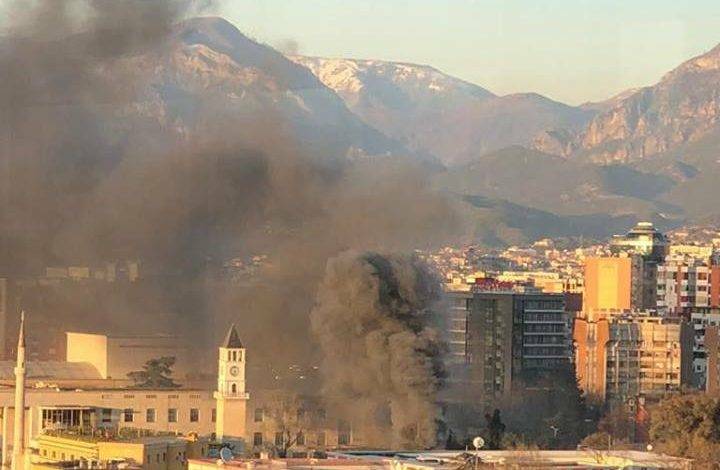 A large fire in the center of Tirana has laid waste to a building near the clock tower. The fire happened yesterday in the late afternoon. Firefighters had difficulties reaching the area because the pedestrian zone around Skënderbeg Square has caused nearly permanent traffic jams around the center. On social media several people claimed that the fire had been lit on purpose in order to annex the plot on which it was built. “Convenient” fires are often used by the construction mafia to “convince” owners to sell their property for new real estate projects.